This past weekend was the annual Association for Consumer Research Conference, which I co-chaired with the smart, talented, and creative Stacy Wood. About 1200 attendees seemed to really love what we created, which was very gratifying. Thanks for all the follow-up emails and Facebook posts congratulating us! And thanks to Ivey Business School for helping us with sponsorship of the Opening Reception. 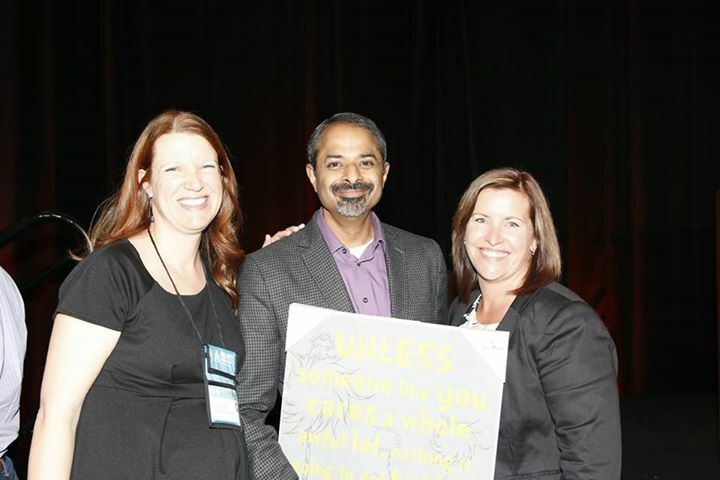 Here is one of my favourite pictures from our Awards ceremony, where Stacy and I thank ACR’s Executive Director, Rajiv Vaidaynathan, with a quote from Dr. Seuss’ The Lorax.